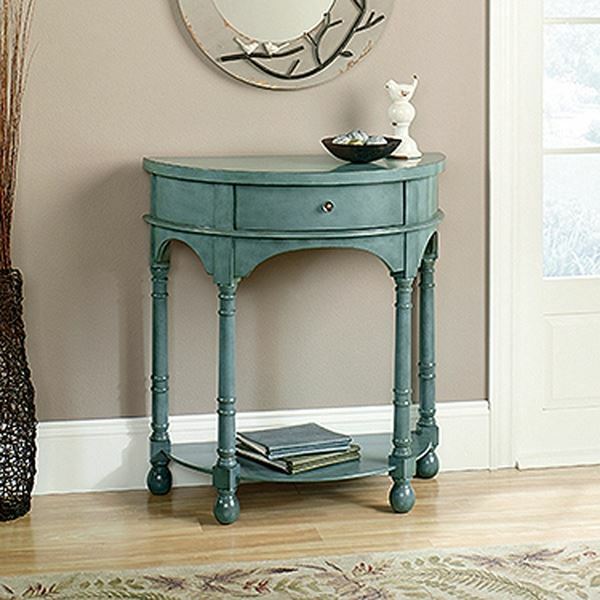 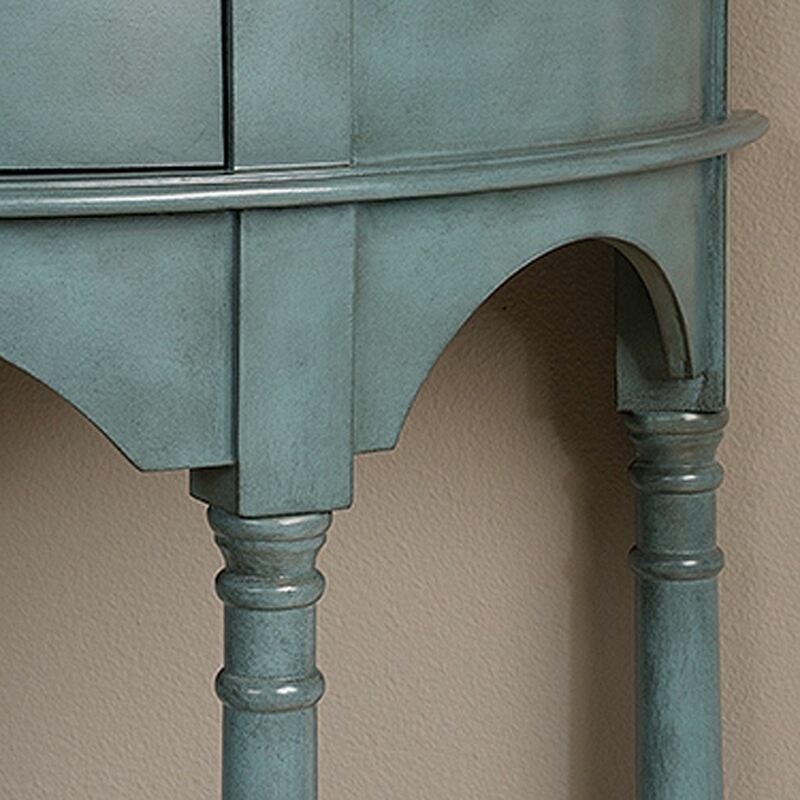 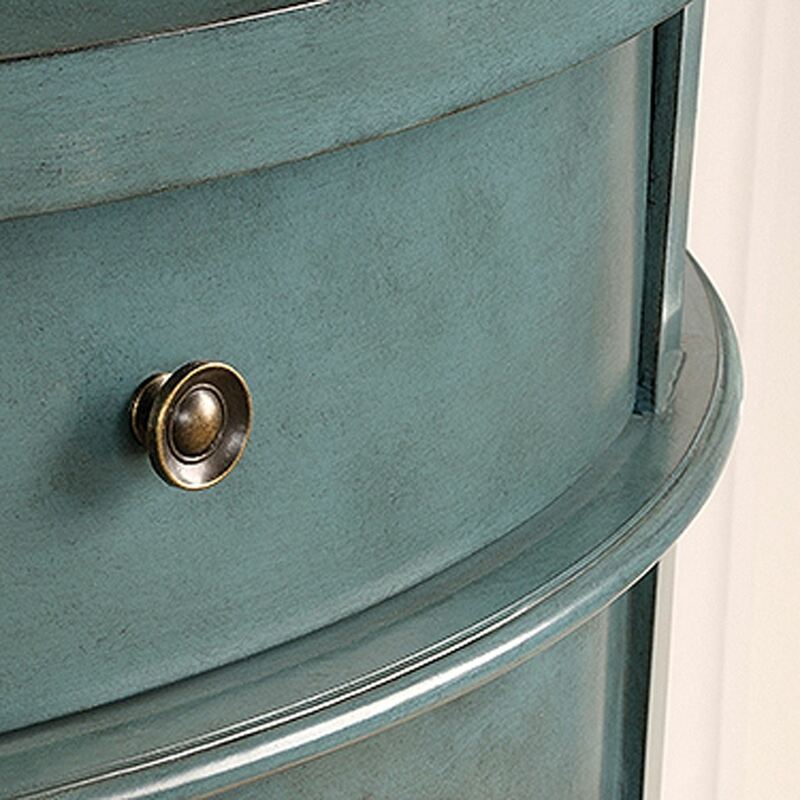 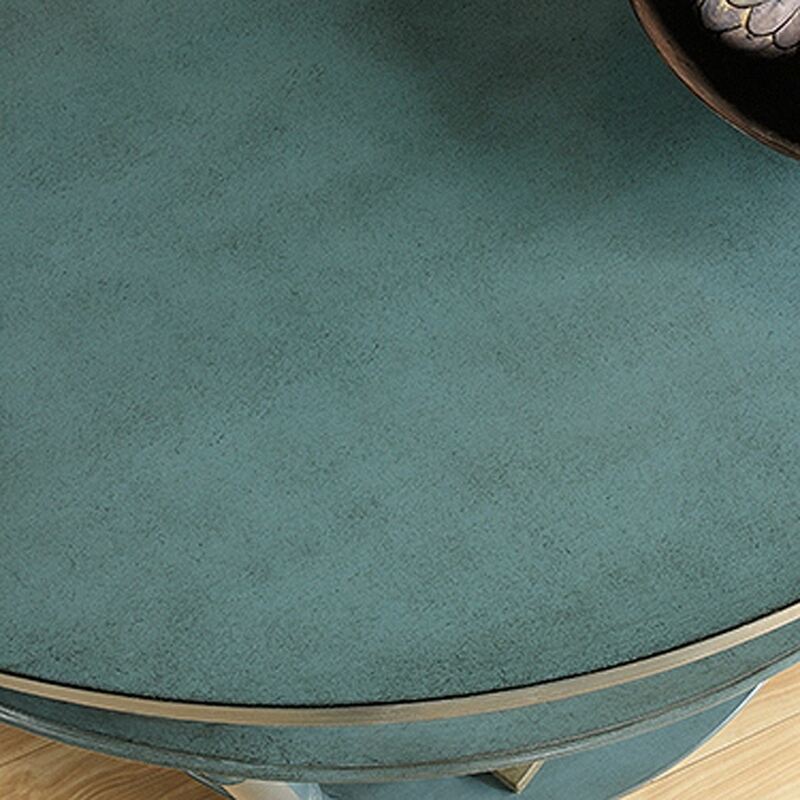 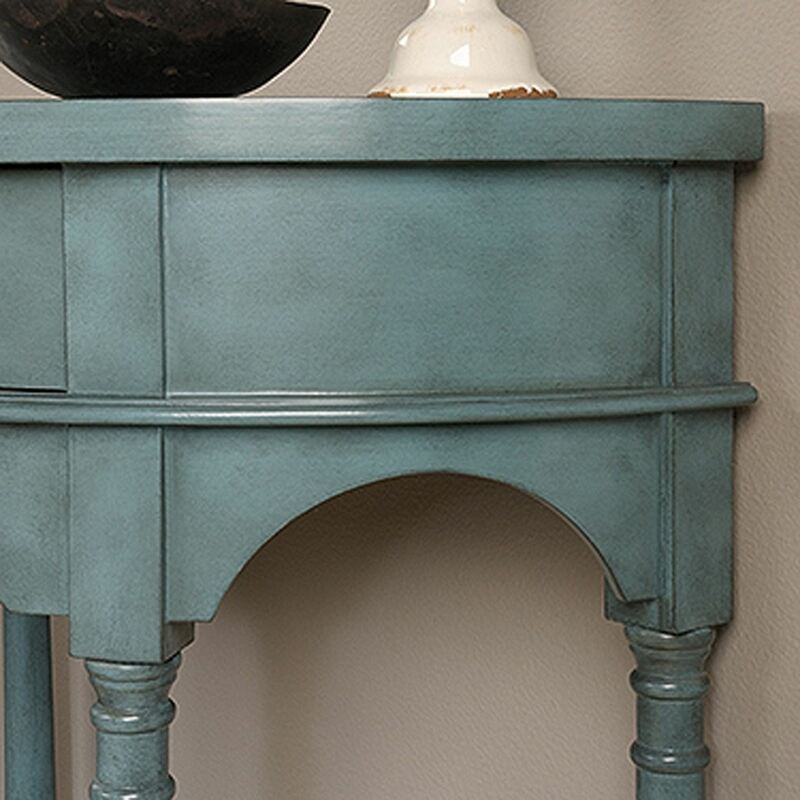 Harbor View Country Table Antiqued Teal By Sauder. Craving some unique style for your home? 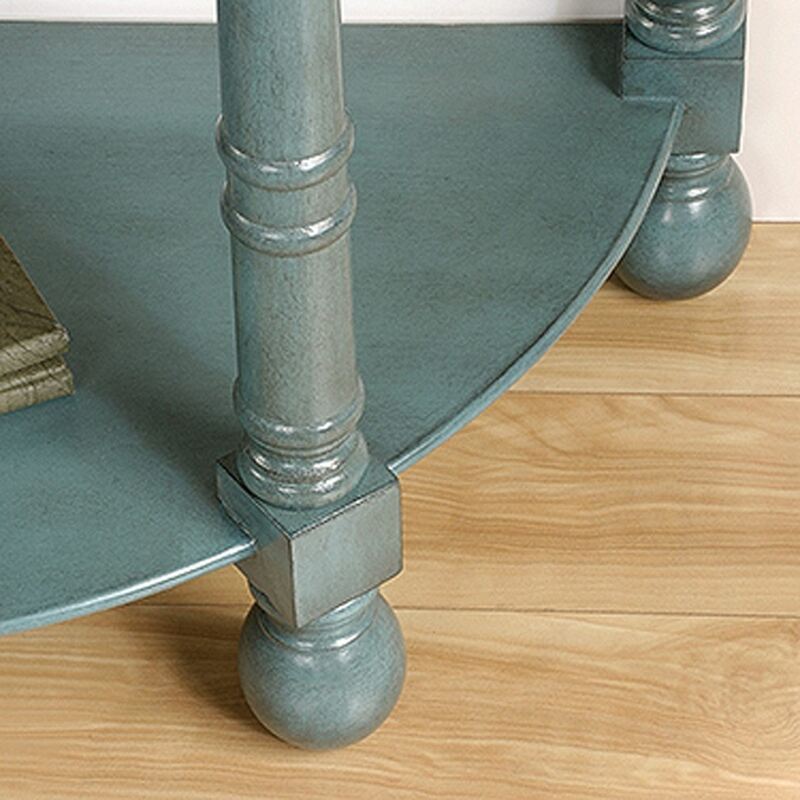 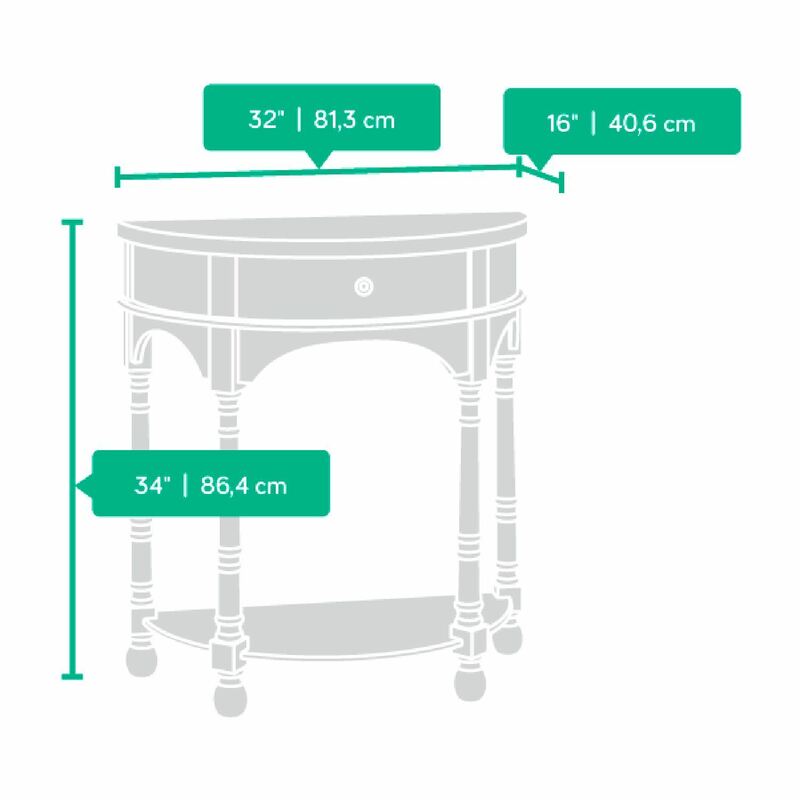 Check out this accent table by Sauder. 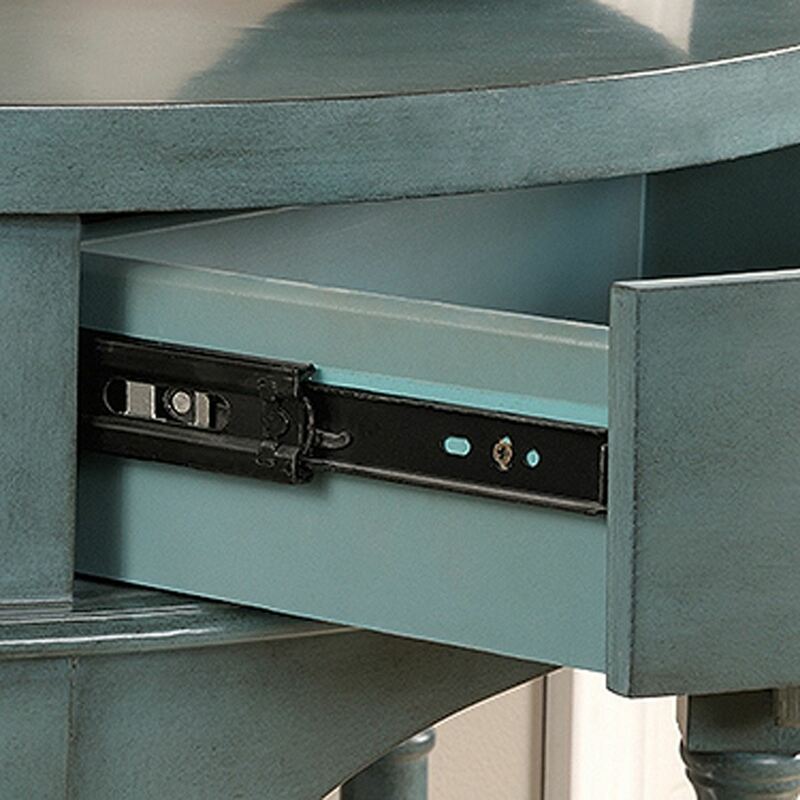 With two open shelves and an easy-glide front drawer, it's perfect for displaying your favorite antiques and picture frames along with storing books and reading glasses. 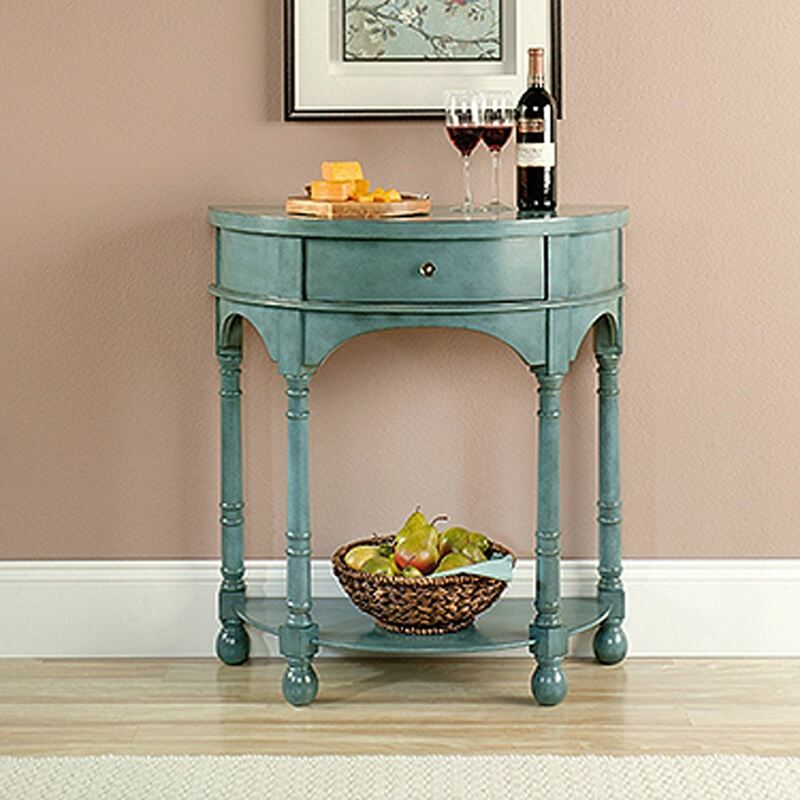 Constructed in solid wood turned legs, this Antiqued Teal finished table is a colorful furniture piece that will have guests talking. 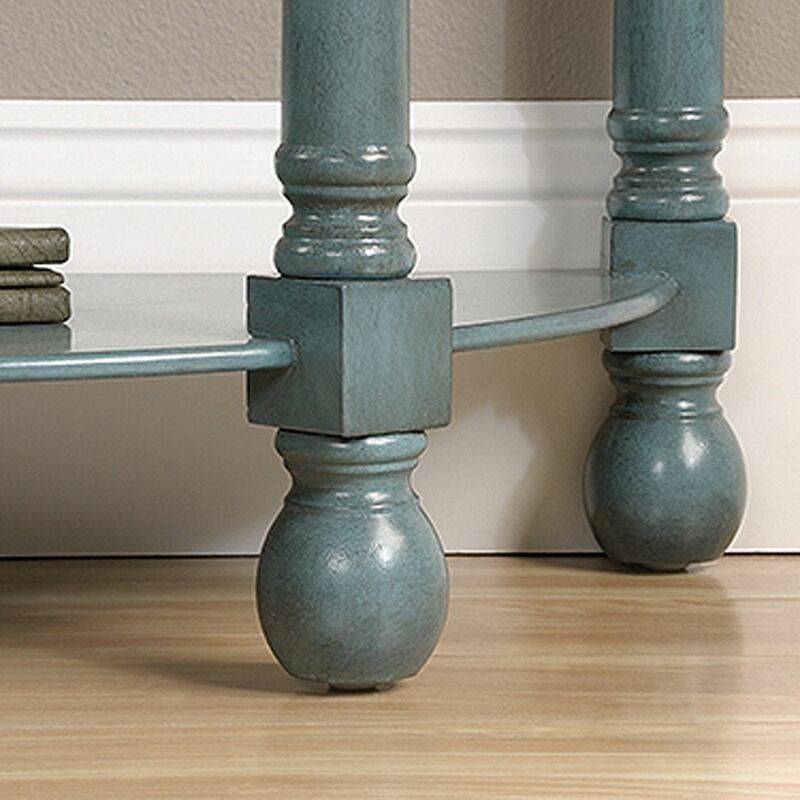 This accent furniture piece also includes: Two open shelves.